There are currently 32,428 users on this website. Hello, my name is Leonardo, from Brazil. I collected coins since childhood. 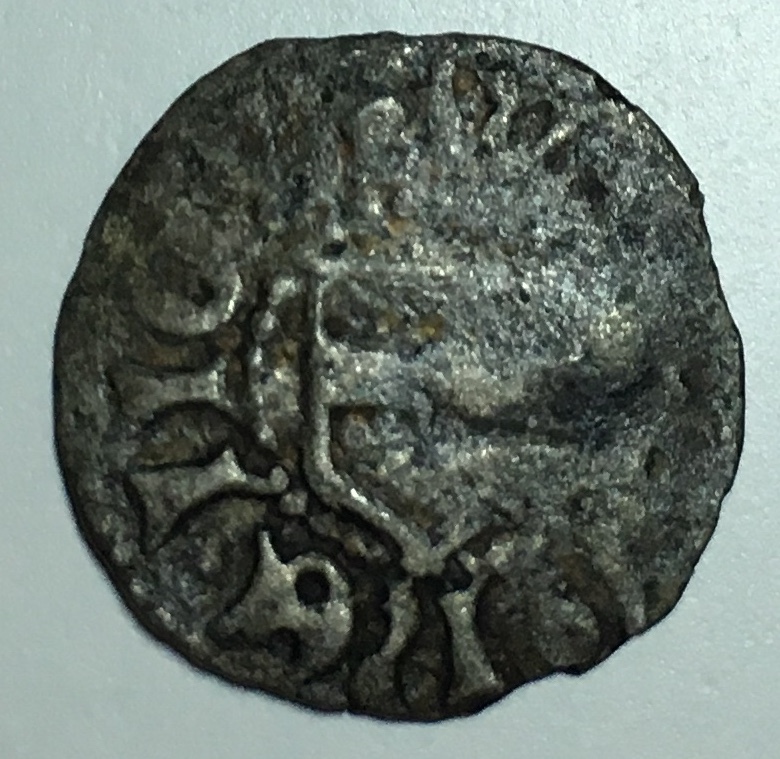 Recently, I inherited some old coins. If any participant has any idea about their origins, I would greatly appreciate it! to CCF. Give it a bit and some members will be along to help you. 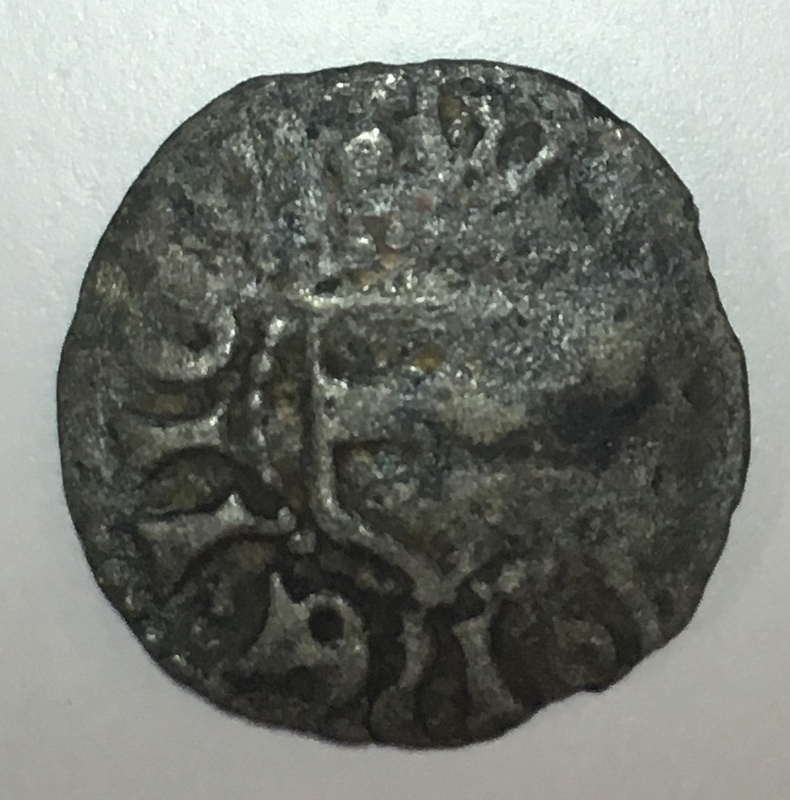 The first appears to be a medieval European coin, probably 1500s or earlier based on the gothic legend. There is enough lettering that someone will figure it out. @LT, first welcome to CCF. 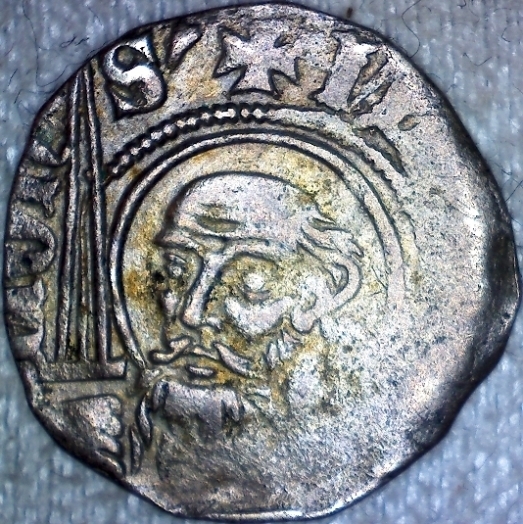 Second, those are some interesting coins that you have there, despite the heavy wear. Several of your pics are out of focus enough that I'm having trouble deciphering what you have there. 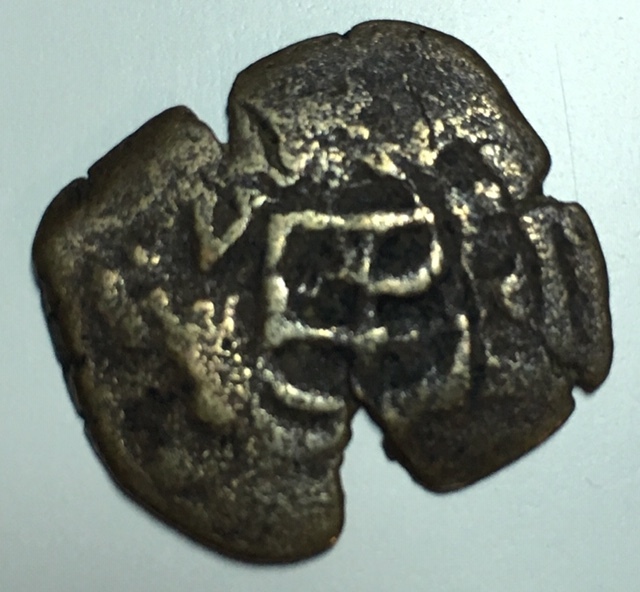 The first image of the first coin in particular is frustrating to me because I can't quite make out enough detail to help you. It would be super-cool if you could post an in-focus pic of that. 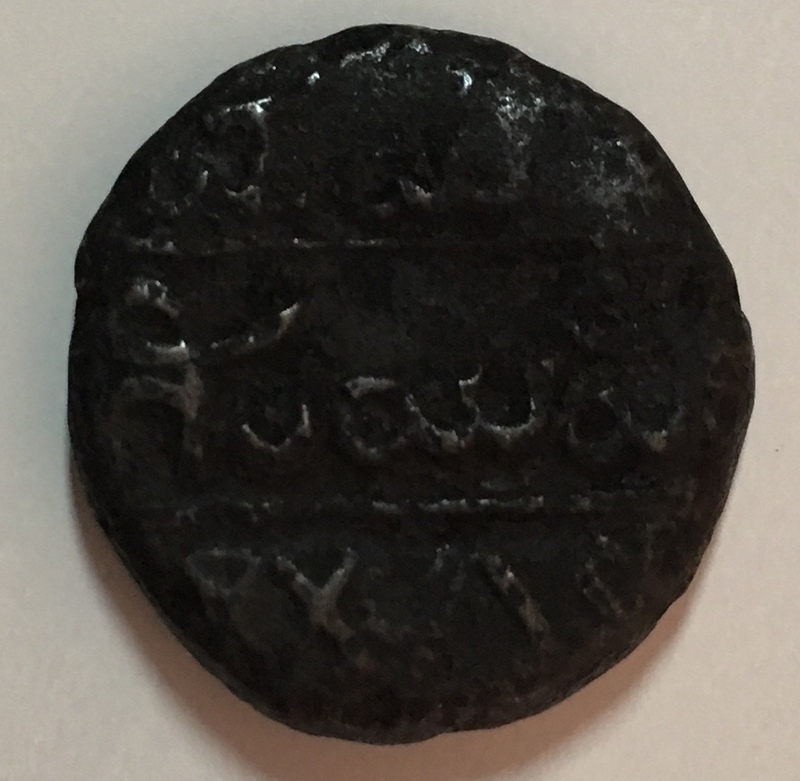 Also, both pictures of the second coin are quite dark. 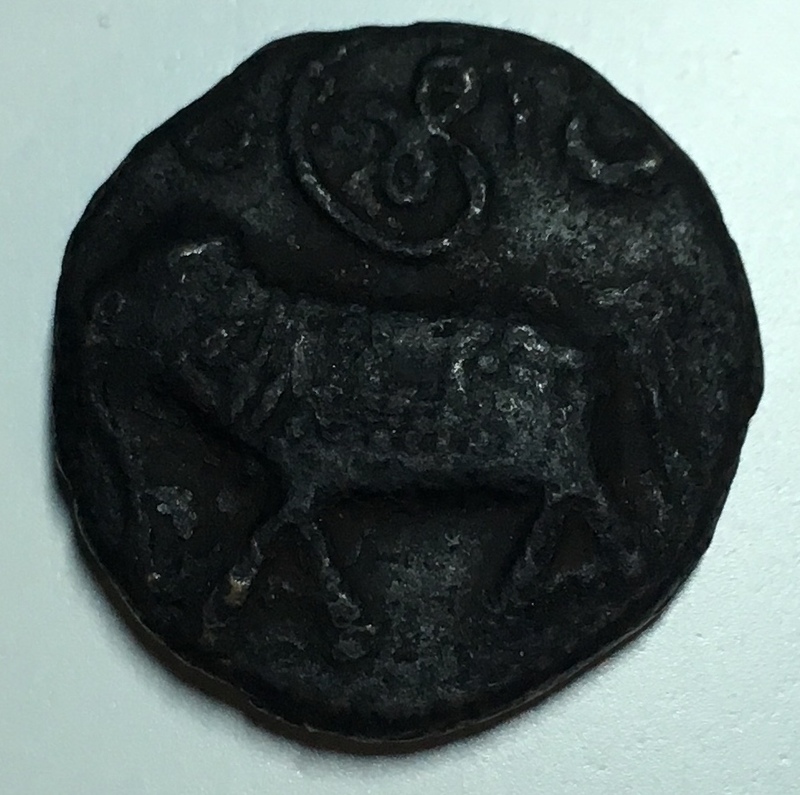 I'm pretty sure that the inscriptions are in arabic, but better light would help confirm that, and whether that is a lamb or some other animal on the back. 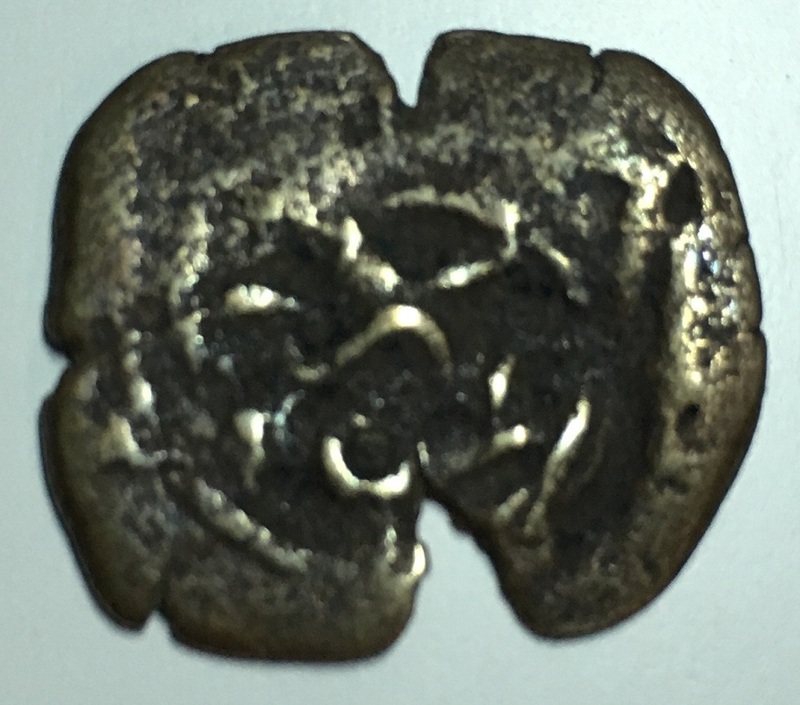 Both of your pics of the third coin are out of focus. I see a shield on one side and perhaps a rose on the other, but it is too hard to know without better clarity. 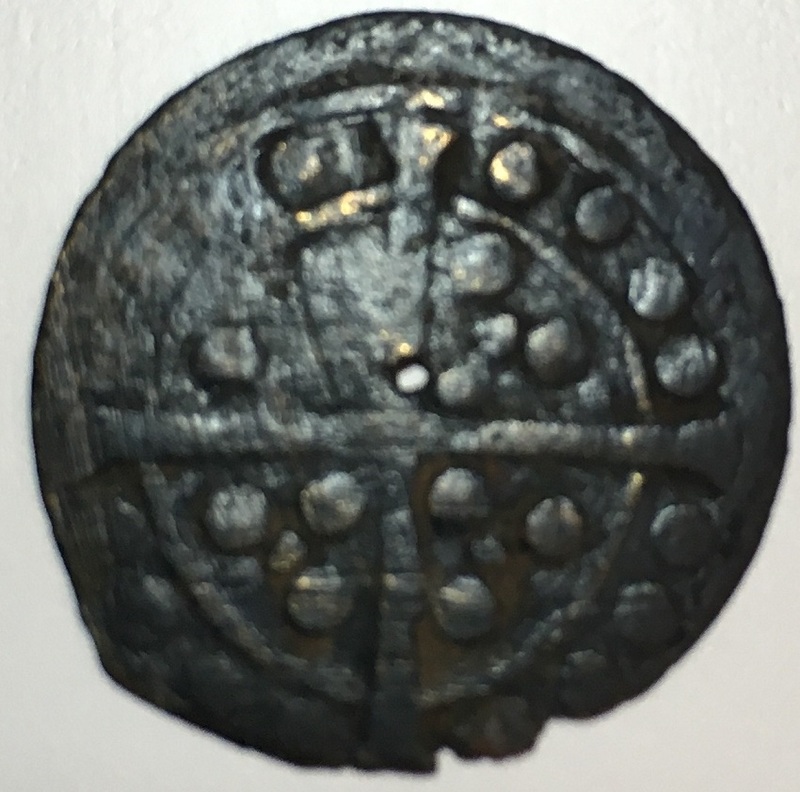 There are a couple pennies from 16th century England that have a rose on one side and a shield on the other, but you coin would then be missing a substantial amount of the outer rim. 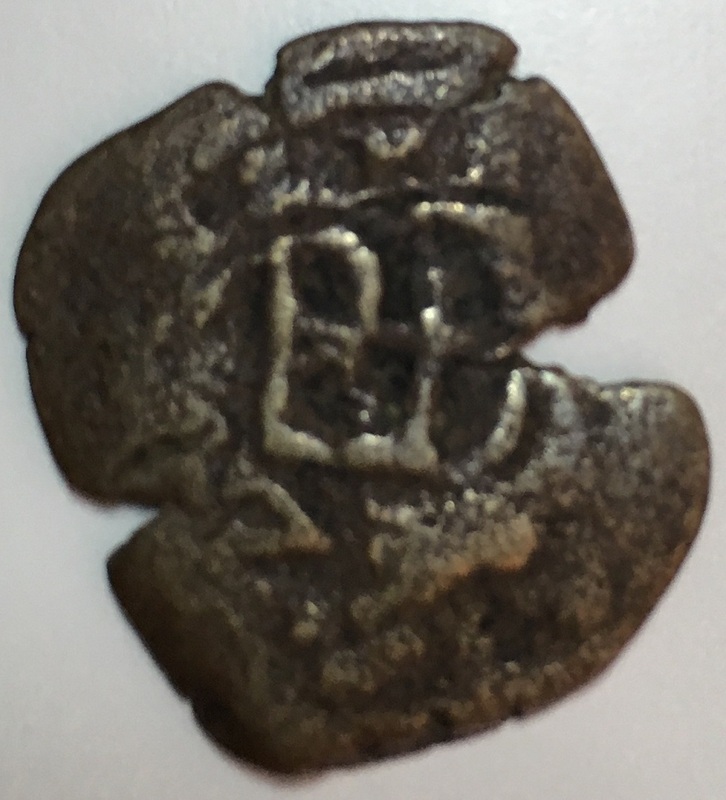 Clearer pics would help to determine if the shield is correct or not. 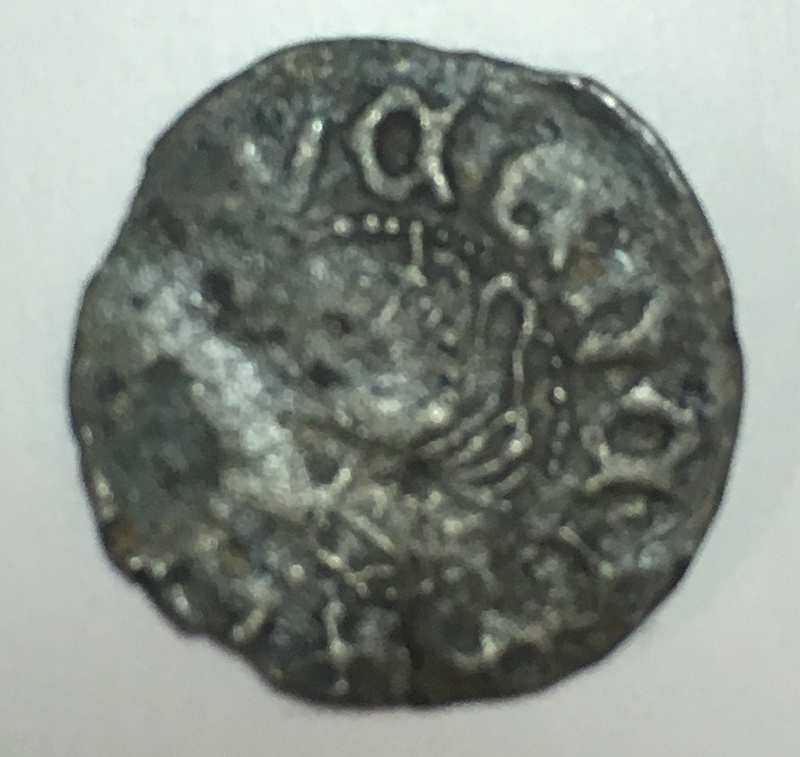 Your last coin has a long cross with three pellets in each quarter, which makes me think of medieval England, but normally there is an outer circle of text rather than more pellets. I'm not quite sure what to make of it. Your last photo is in-focus and well-lit: this should be what you are striving for with all of your other pictures. Sorry that I can't be more helpful, but hopefully you can take and post slightly better pictures. Thx! 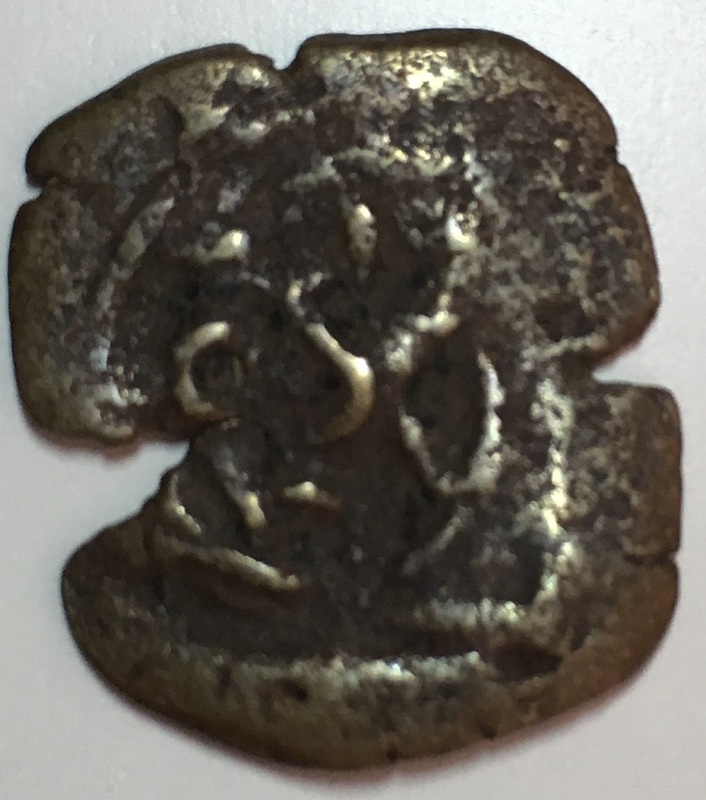 I can't make out the obverse on the OP coin (#4), and I know these are not a match, but maybe a jeton of this general ilk? 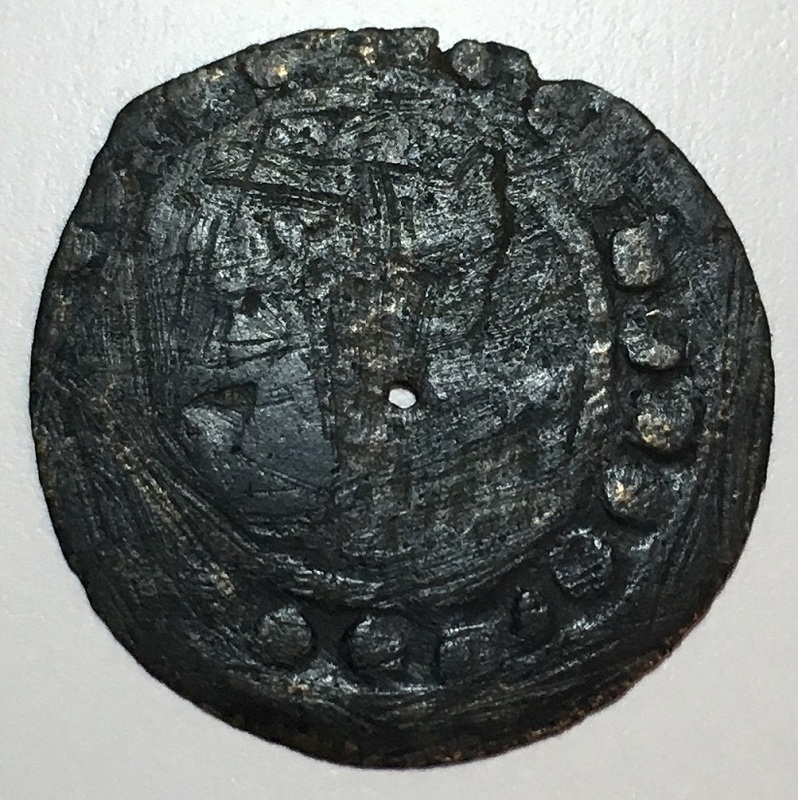 Great idea Bob--I hadn't considered that the fourth coin might be a jeton. Bob L, the fourth must really be the jeton, I am very grateful! 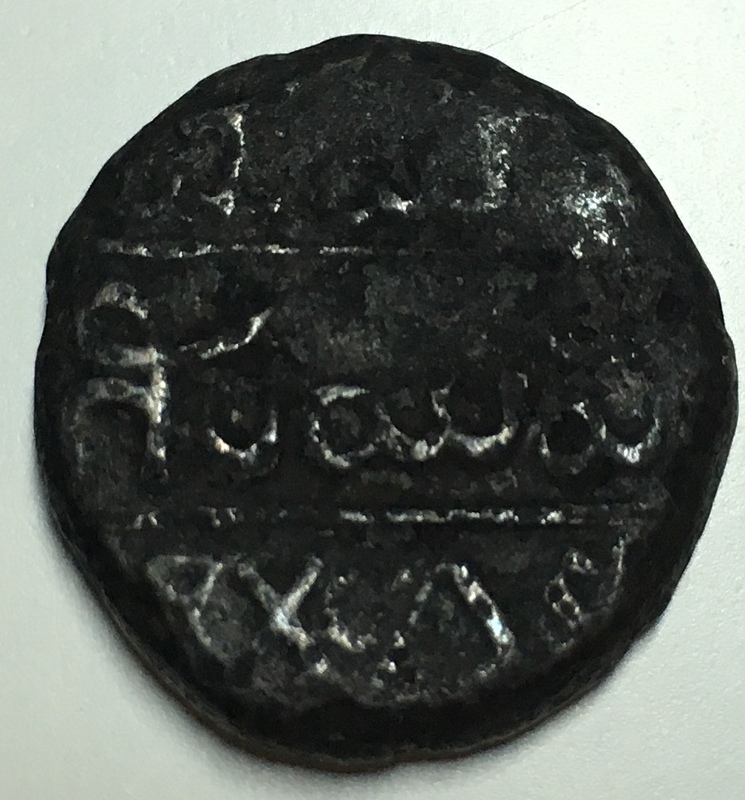 tdziemia, Thank you for thank you for deciphering the legends of the first coin! 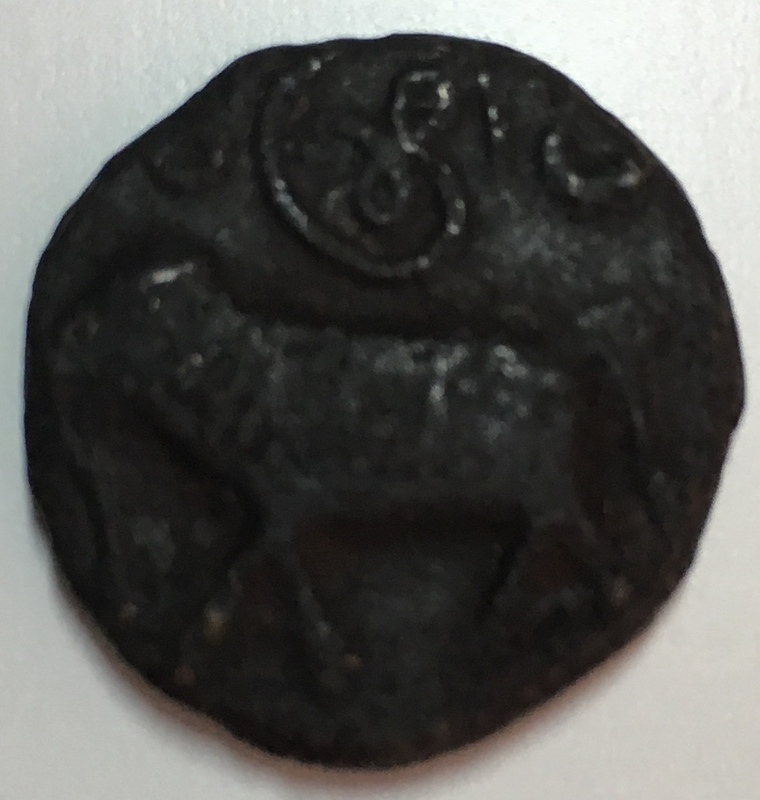 The one with the elephant is from the Indian state of Mysore. 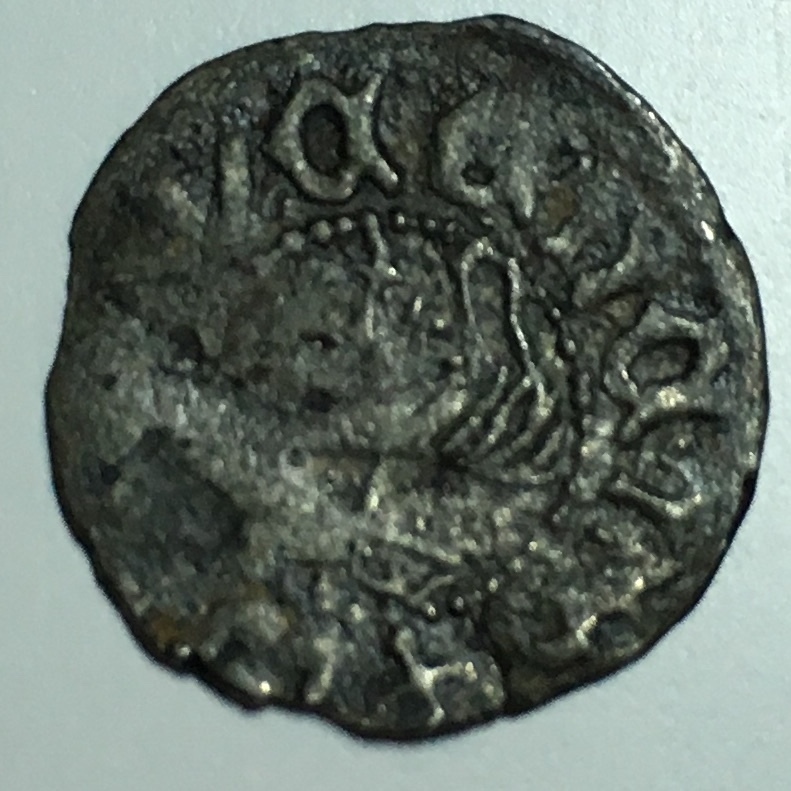 @LT, after a couple hours of searching tonight, I'm ready to give up on identifying your first coin. It has a shield on one side that is consistent with both Munster and Austria in that the left side (at least) has three stripes. The point bottom is a little problematic though and is preventing me from being positive about this. Also, I'd say 1200s or 1300s based on the letter shapes. 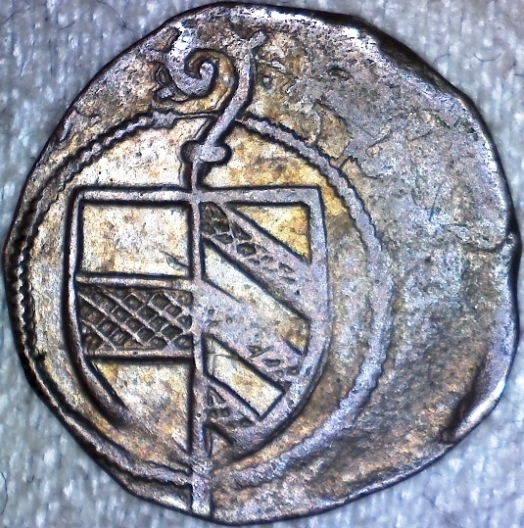 Added: for comparison, see these images of my Denar from Munster that dates to between 1379 and 1381 AD. It seems somewhat close, but is not an exact match to be sure. Thank you very much for the support of all to unravel these puzzles! It took 1.57 seconds to rattle this change.